Laser Grade Levels are also apart of Division 3 services as we supply laser equipment rental to any contractor in the industry. We recommend these for grade-control systems ideal for outdoor construction applications, including setting and adjusting elevations, marking, and setting excavation cutting depths. With Division 3, supplying the contractor with finishing equipment can be complimented in most cases by adding our top of the line and fully calibrated laser levels. 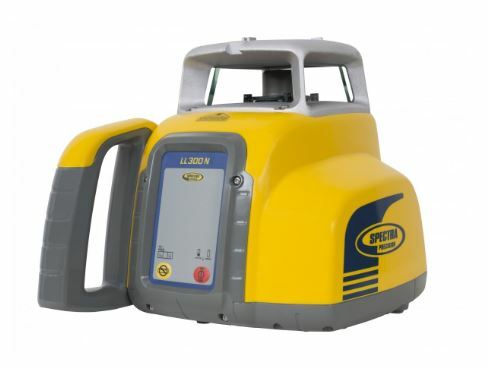 The Spectra Precision® Laser Level features a rugged design with “hard hat” rotor protection that provides superior drop and weather protection. Built to withstand severe drops of up to 3 ft (1 m) directly onto concrete, or up to 5 ft (1.5 m) when pushed over on a tripod means less downtime and cost due to damage caused by accidental drop. 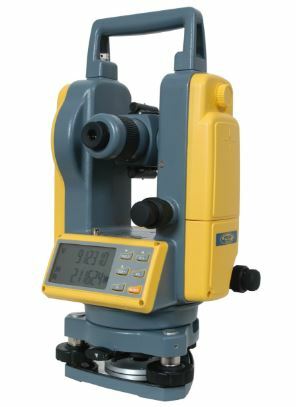 DET-2 Construction Theodolite The Spectra Precision® DET-2 is a rugged, cost-effective theodolite designed to give accurate angle measurements in general construction applications. The affordable, versatile, easy to use instrument and accessories will increase your productivity when turning angles and setting elevations and lines. The DET-2 is fully customizable for your preferred operating style or job, with programmable settings for the horizontal angle resolution, 90 degree angle beep, vertical degrees or %, and more.